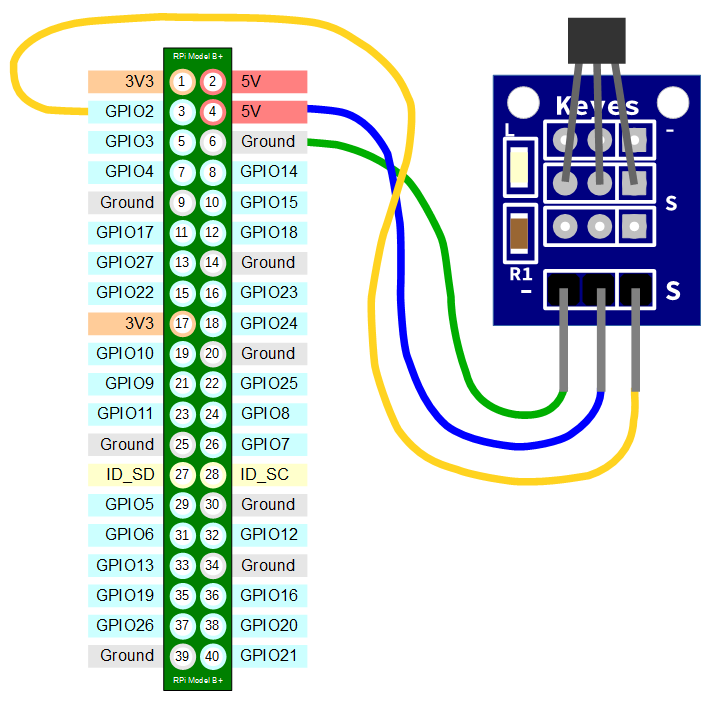 This is the first of three posts working through a project looking at Measuring Recording and Exploring simple GPIO sensor inputs with the Raspberry Pi. This project will use a Hall effect sensor to measure a change in a magnetic field and use that change to trigger the recording of a reading to our database. This type of sensor outputs a logical ‘high’ (1) when triggered and as such we can use the same set-up on our Raspberry Pi for a range of sensors. The practical application that we will examine is to determine when a cat flap has been opened and using the times that this occurs we will build up a visualization of the pattern of activity that the cat exhibits as it goes in and out the cat flap. The Hall effect is the production of a voltage difference (the Hall voltage) across an electrical conductor, transverse to an electric current in the conductor and a magnetic field perpendicular to the current. It was discovered by Edwin Hall in 1879. 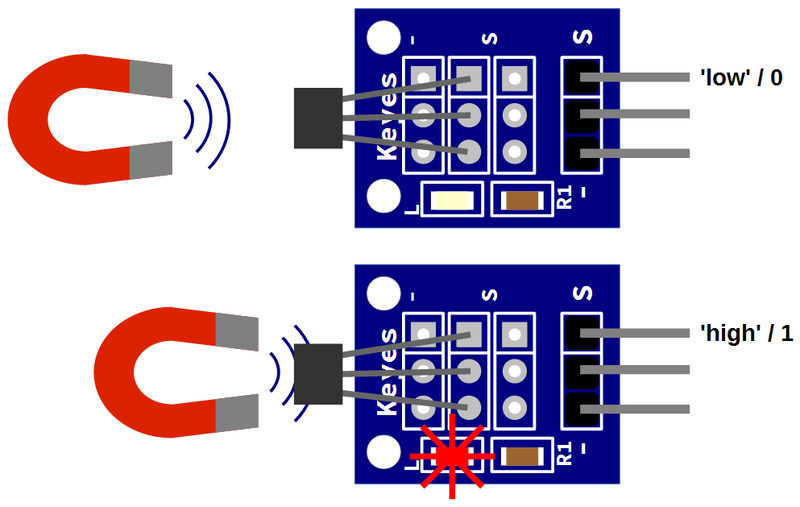 A Hall effect sensor is a transducer that varies its output voltage in response to a magnetic field. Hall effect sensors are used for a range of measurement functions including proximity switching, positioning, speed detection, and current sensing applications. For this project we will use a Hall effect sensor combined with circuitry that allows the device to act as a switch. In particular we will use the pre-built sensor ‘KY003’ which incorporates a series 3144 integrated circuit that contains the hall effect sensor proper (and some supporting circuitry). When the sensor is exposed to a high density magnetic field the circuit will produce a logic ‘high’ output. The ‘KY003’ sensor is widely available at an extremely low cost (approximately $2). Just give the part number a Googling for possible sources. 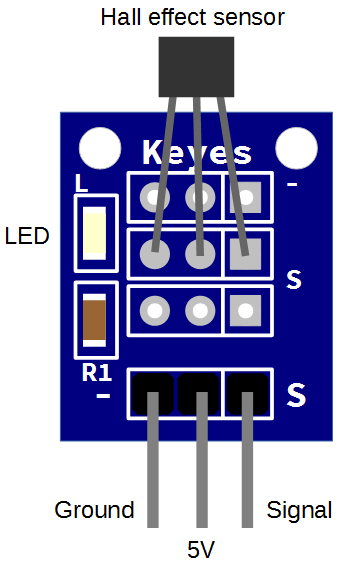 The KY003 Hall effect sensor has three connections that we will need to connect to a 5V supply, a ‘Ground’ and a GPIO pin to read the signal from the sensor. It also incorporates a surface mounted LED that will illuminate when the sensor detects the presence of a magnetic field and is triggered. Connecting the sensor practically can be achieved in a number of ways. You could use a Pi Cobbler break out connector mounted on a bread board connected to the GPIO pins. But because the connection is relatively simple we could build a minimal configuration that will plug directly onto the appropriate GPIO pins using header connectors and jumper wire. The image below shows how simple this can be. 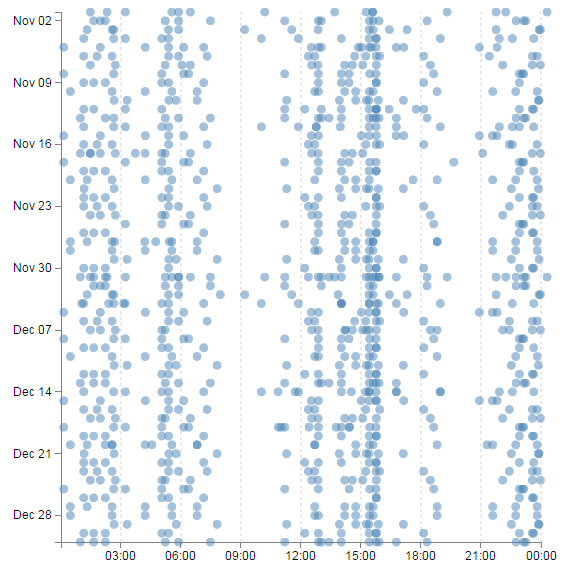 Part two of this project recording GPIO sensor events can be found here.